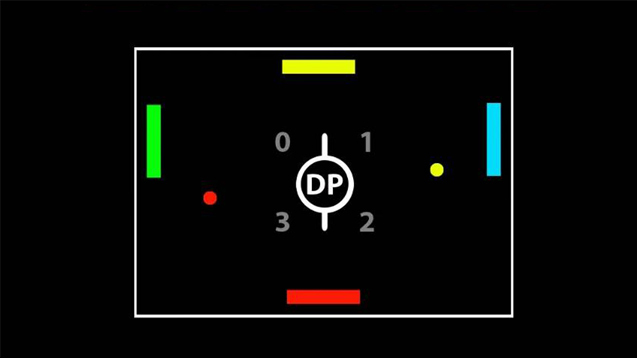 Dual Pong is a 2D pong game that stays true to what made the original Pong game a success, while also bringing some new ideas to the table. It has 5 game modes; which includes Singles Mode, Team Mode, Battle Mode, Classic Pong Mode, and a Story Mode with 16 possible endings! It also has a dynamic ball collision system, an AI that can adapt to your skill level, versatile and responsive controls, multiplayer that can go up to 4 players, and more! You in? Note: This game can be played with a keyboard or Xbox 360 controller. 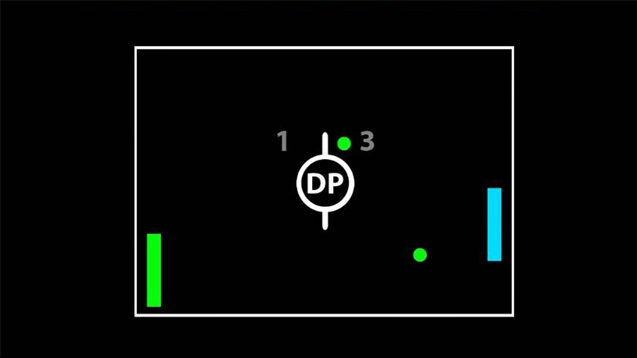 Dual Pong has a more methodical gameplay style than the original Pong game. Players have to focus not only on their defense, but also on their offense if they want to improve their chances of winning. The player's offense is determined by which key or button the player presses while a ball is colliding with their paddle. This gives the player more control over which hitting techniques they use in different situations during the game. The versatile controls in this game allow the player to control the offense in a variety of both familiar and unfamiliar ways. Players can choose and change up their controls on the fly by deciding which combination of keys or buttons they want to use in real-time. With the exception of the Classic Pong game event, all of the rest of the game events in this game requires the player to focus their defense and offense on 2 balls during gameplay instead of just one. This can create situations where the player can be on offense and defense at the same time, and it can also create situations where the player might be temporarily overwhelmed by 2 balls moving towards their side of the screen at the same time; which can possibly become more difficult to deal with depending on whether or not certain ball collsions happen during these situations. There are 16 possible ball collisions that can happen when the 2 balls collide with each other. These possible ball collisions are determined by which direction the 2 balls are moving in, and also what speed the 2 balls are moving at when they collide with each other. There are also other possible collisions that can happen (even during the Classic Pong game event) when a ball collides with a paddle; which can either result in the ball "staying in play" or "going out of play". Players will only be able to use their offense on a ball if it stays in play. The AI will adapt to the player's skill level based on how well the player is performing in the game. Although the AI can adapt to the player's skill level, the AI will never become unbeatable. The player just needs to figure out a way to beat the AI. If the player figures out a way to beat the AI in each of the game events, they can choose to play against other players who have done the same in order to find their next level of challenge. The AI in this game is smart and was designed to have a similar play style to some of the players. The AI is also capable of making split decisions when necessary. In addition to a smart and adaptive AI, this game also has some hidden in-game strategies and easter eggs; but I want the players to discover them on their own. Now available on IndieGameStand and Itch! A screenshot of the gameplay from the Singles game event in my Dual Pong game. 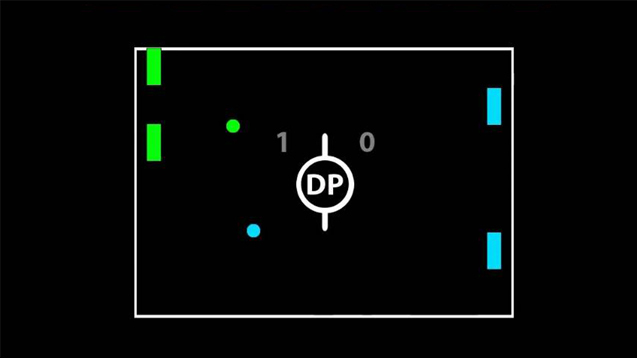 A screenshot of the gameplay from the Team game event in my Dual Pong game. A screenshot of the gameplay from the Battle game event in my Dual Pong game. 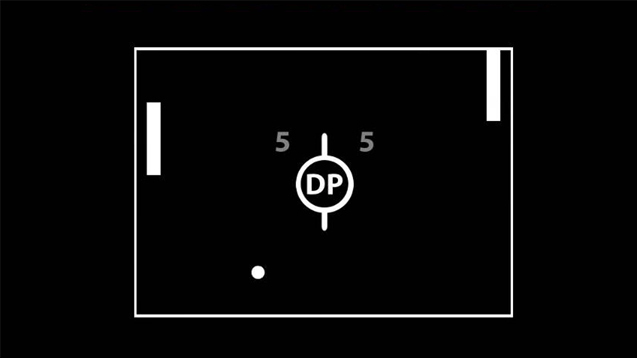 A screenshot of the gameplay from the Classic Pong game event in my Dual Pong game. Dual Pong has been Greenlit! Thanks to everyone who made this possible. I really appreciate it.